Short eats are Sri Lankan snacks – small but filling bites usually eaten on the go in the morning or evening or served to tea time guests. In the run up to my friend Yasmin’s Sri Lankan holiday, we got together to home-bake two varieties of popular Sri Lankan short eats. Unfortunately, I won’t be going to Sri Lanka with her, but the patties and malu paan we baked allowed my taste buds to visit a Sri Lankan short eat shop at least for a little while. They are delicious! Here are our short eats recipes from our baking session. Both short eats recipes make fantastic snacks for a warm summer’s day, perfect for a picnic. The patties come with a beef and vegetable curry filling while the malu paan are filled with fish and potatoes. 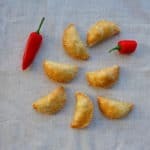 The spicy flavours in these little Sri Lankan curry pastries are second to none. 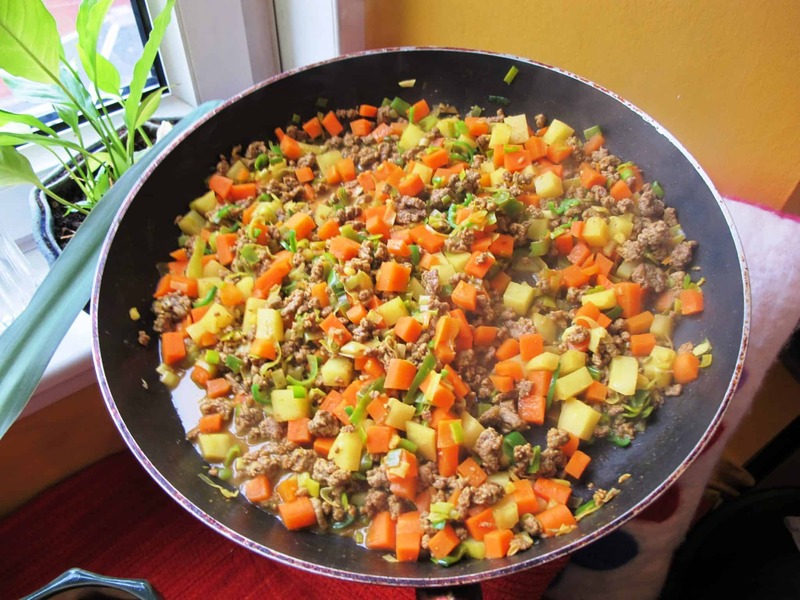 Work on the flavouring of your beef and vegetable curry filling to make sure the seasoning is perfectly balanced before you assemble the patties. Place the flour and the cubed butter into a bowl and rub together with your fingers until the ingredients have a breadcrumb-like consistency. Add the water and combine until smooth. 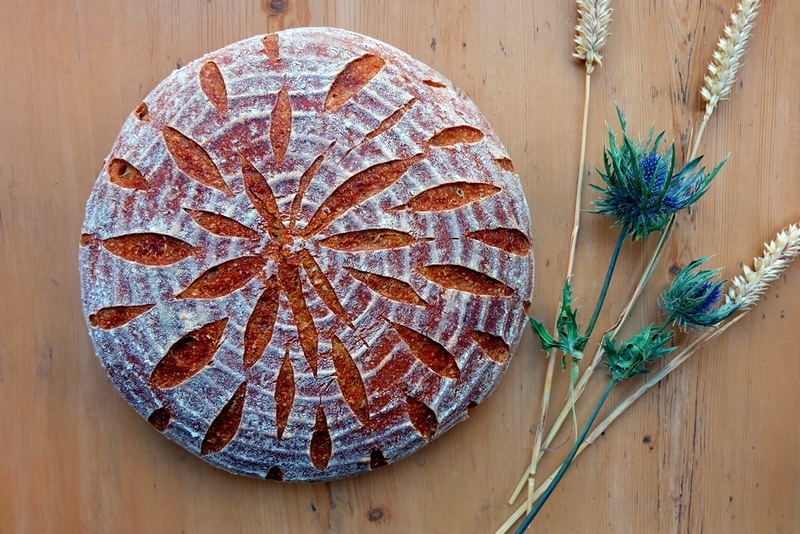 Be careful not to overwork the dough – don’t knead. Shape the pastry dough into a ball, wrap with cling film and place into the fridge for about ½ hour. In a wide sauté pan, heat the oil to a high temperature and brown the beef. Once browned after a few minutes, add the diced potato and a couple of tablespoons of water. Cook for about 5 mins and keep stirring. Add the carrot, leek, chilli, garlic, ginger, all the spices and season well with salt and pepper. Cook for another 5 or 6 minutes. Add a little bit more water if the mix starts catching the pan. Add the lime juice and cook for another couple of minutes, then taste the potatoes – they should be soft but not mushy; ensure that there is no excess liquid left in the pan. Take the pastry dough out of the fridge and, with a rolling pin, roll out to approx. 3 mm thickness. With a round 10 cm diameter pastry cutter, cut out round shapes until the dough is all used up. 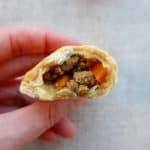 Place a tablespoon of filling in the middle of each pastry shape, make sure the filling is all tightly packed together. 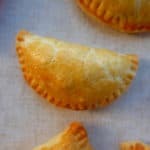 Pull one side of the pastry over the filling to create a half-moon shape, press the edges together and use a fork to crimp the edges. Place the patties on a baking tray lined with baking paper. Brush with egg wash just before baking. Bake for 35 mins at 180°C until golden brown. 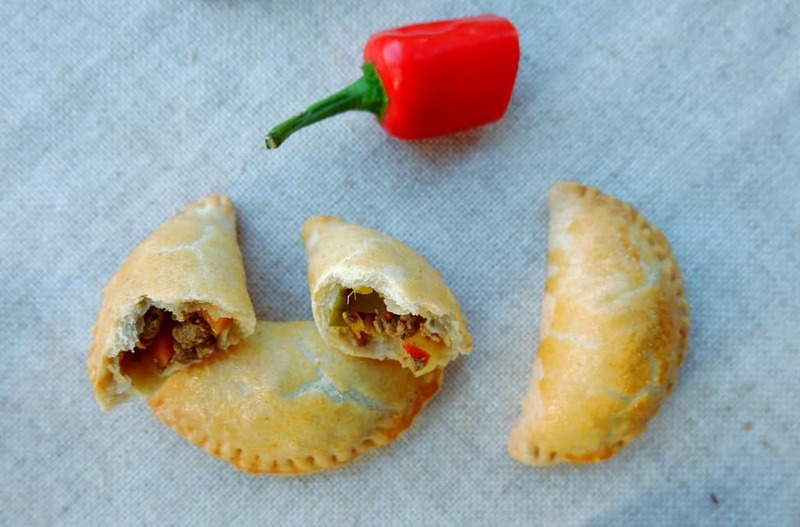 Indulge on any leftover filling while you wait for the patties to bake through! This short eats recipe for malu paan, traditional Sri Lankan fish buns, uses a wonderful combination of potatoes, spring onions, mackerel and coconut milk powder to evoke the flavours of Sri Lanka. Simply replace the mackerel with tuna or other meaty fish varieties according to your personal preference. In a large bowl, rub the butter into the flour until the mixture resembles fine breadcrumbs. Add the sugar, yeast, salt, the egg and the milk and combine to form a dough. On a clean work surface, knead for about 5-10 minutes until you’ve got a smooth, elastic dough. Place the dough back into the bowl, cover with a kitchen towel and leave to rise for approx. 1 hour. In the meantime, mix the coconut milk powder with 400g of hot water. Put the potatoes into a sauce pan, add the coconut milk and top up with water until the potatoes are covered. Add the cinnamon stick and cook until the potatoes are well cooked through. Drain off the liquid and remove the cinnamon stick. Mash the potatoes, add salt and pepper to taste and a pinch of nutmeg. Make sure the taste of the mixture is well balanced. Drain the tins of mackerel and flake into the potato mash. Add the thinly sliced spring onions. Taste and add more seasoning if required. 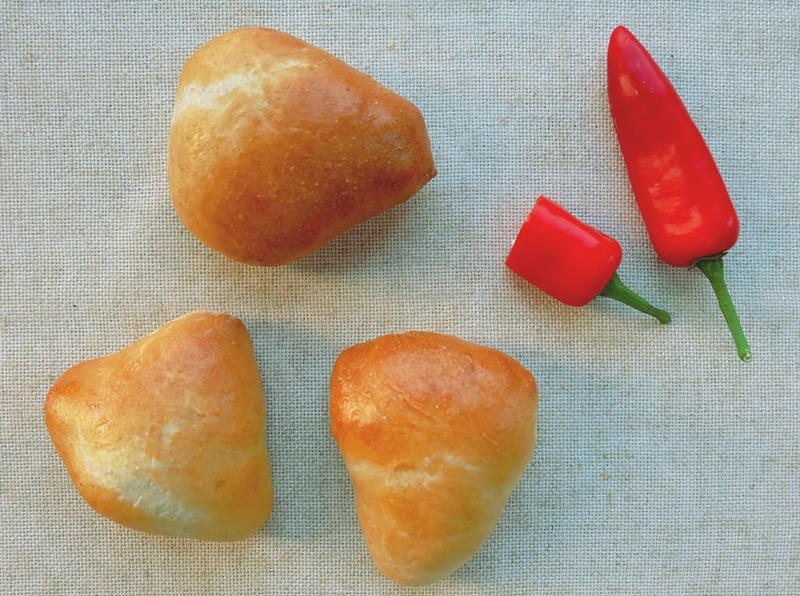 Shape the dough into a roll and divide into 15 equal pieces. Mould each of the dough pieces into flat triangular shapes. Take 1 tbsp of filling per dough triangle and place it into the centre of the dough piece. Fold each dough piece like an envelope (three folds) over the filling to form a compact triangular shape. Leave to prove for about 45 minutes. Bake for approximately 10 – 15 mins until golden brown.